Dear Frisbee Friends. 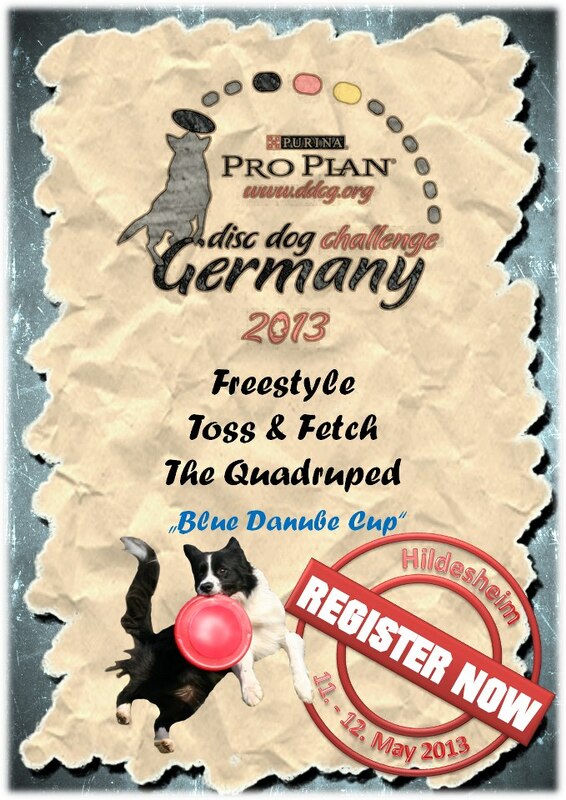 The Registration for the first Event of the ProPlan DiscDogChallenge is online now. Just click on the picture above and you will come directly to the official Challenge-Page where you can register online. All other Information about the competition you can find on the webpage or on the right side of this page. The link on the picture is not working at the moment so visit www.ddcg.org for more information.